Last week, I stood in my driveway in shorts and a t-shirt, sweaty and sun-scorched, deep into an extended long-toss session with my son Gabe. The temperature was in the mid-80s. In mid-March. In Michigan. Forty degrees above the average seasonal temperature. Warmer than the Tigers spring training game in Lakeland, Florida. The options seemed clear as I stood my ground while Gabe retrieved an errant throw that went to the back of the garage (I'm still working the arm into game-shape): either go inside and begin to compose a lament of global climate change, or take some batting practice with the tennis ball (to keep the dents in the house siding to a minimum). We went for the BP, and I, well, what did I just mention about game-shape? But with lilacs bursting out and the peach trees in full-blossom, even weak grounders back to the mound felt good. Alas, it is cold again, and the big leaguers finally working out the kinks down in the sunbelt have no doubt begun to dread the 45 degree night games and the chilling northern rain, but they, like the fans, must feel that mounting anticipation as well, that slow, perhaps tortuously extended trajectory of split-squad games and bus-rides and three-inning starts and dreams ascending (for the surprising rookies) and collapsing (for the aging non-roster invitees on the margins). The cruel defections and serendipitous acquisitions of free-agency have been absorbed. Starting rotations are settling like sparrows on the garage roof. Lineups are coming into some manner of focus, be it sharp or bleary. The hot stoves have cooled. The 110th season of bipartite Major League Baseball, more or less as we know it, awaits. 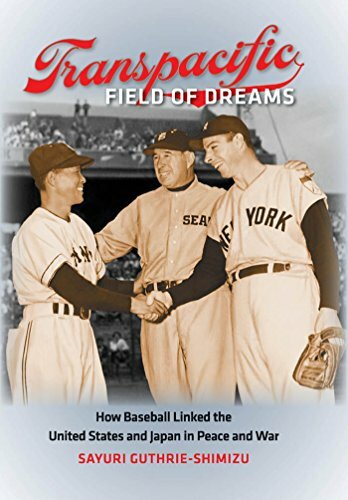 (The National League, of course, stretches 25 or so years back from there, with various forms of club and amateur baseball pushing 30 or 40 years back yet deeper into the American past.) As Hamlet once mused, "The readiness is all." Let's play ball! But wait. Unbeknownst to many, and only moderately beknownst to the serious fan, the 2012 season already began a week early and half a world away. The Mariners and the A's left home for their opening day games, but for the first time ever, the teams flew west instead of east, and played their two-game series in the Tokyo Dome, the pride of a Japanese baseball tradition that, believe it or not, has roots reaching back to the 19th century as well. (More to come on that fascinating history in a moment.) This particular trip has been lauded by MLB officials as a great success of cultural exchange through sports, with "everyone involved … brimming with gratitude, pride, empathy and friendship," according to Doug Miller of MLB.com. The games were filled with early season heroics, as Japan's favorite son and likely Hall of Famer on both sides of the Pacific, the inimitable Ichiro, went 4 for 5 in the first game, a 3-1 Seattle victory. But the A's soon saw a return on their massive investment over the winter in Cuban CF Yoenis Cespedes, who homered the next day to seal a split for Oakland. Beyond baseball, the connection of the American players with the history and people of Japan seemed to have created a therapeutic moment for a nation still wrestling with the devastating effects of last year's tsunami and subsequent nuclear power crisis. Indeed, the fact that the whole American contingent took time out to run a practice with Little Leaguers from the ravaged city of Ishinomaki is enough to put a dent in even the most cynical detractor of baseball's massive salaries and prima-donna stars. Such intercultural exchange has a long and fascinating history, woven in and around the mutual obsession with baseball which the two nations have shared almost since the moment Americans and Japanese first met, on Commodore Perry's 1853 arrival to open Japan to the modern world. That century-and-a-half-old story is well-rendered in two books recently published from substantial university presses. 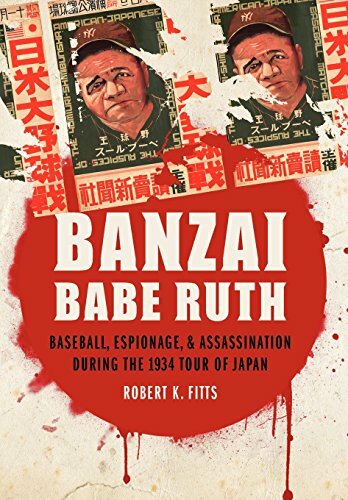 In Banzai Babe Ruth: Baseball, Espionage, & Assassination During the 1934 Tour of Japan, Robert K. Fitts takes a microscopic view of the last tour of American big leaguers to Japan before World War II. And in Transpacific Field of Dreams: How Baseball Linked the United States and Japan in Peace and War, Sayuri Guthrie-Shimizu—who teaches history down the highway from me at Michigan State—offers a more a sweeping look at what baseball hath wrought in the complicated globalization paradigm that has linked the U.S. and Japan through friendship and enmity. Both volumes are heavy with research and historical data (Fitts has a Ph.D. in archaeology from Brown), and there is some crossover in content, but the two books are very different. Banzai Babe Ruth reads like a multi-stranded mystery novel , from the the presence of Moe Berg (weak-hitting catcher but future OSS/CIA spy) on the tour, to the ultra-nationalist machinations within the Japanese military societies, to the fundamental mystery of the Babe himself, just cut loose by the Yankees, aging and anxious, auditioning in front of Connie Mack for a possible Philadelphia A's managing job, lauded by the Japanese public, and rediscovering his amiable, appetitive, home-run-pounding self one last time.